Perks to enjoy Tremblant’s peak, when you book with Merit Travel! With over 3 kilometres of ski area, four slopes and sitting at 875 metres in elevation, Mont Tremblant offers an experience, and a breathtaking view, for riders of all levels. Ski season is just around the corner and Merit Travel has put together 10 ways for you to save on your next ski vacation. Receive a free trip for you and free skis from Élan Skis for you, for bringing a Ski Group to Tremblant! Get a group of 20 people from your office, club or social circuit. Bring one, bring all! Tremblant is a great destination for families, couples and social or corporate. Tremblant is open all year and all seasons! Consider hosting an event, a golfing outing, social or corporate meetings, or a ski group getaway! Mont Tremblant hotels are perfect for economy comfort through to 5-star treatment, so not matter your budget, Tremblant is for you! Tremblant offers 14 lifts, 9km’s of trails consisting of 102 runs (six are new this year!) on 755 acres, a 6 km long run, and a vertical drop of 875m. This terrain is guaranteed fun, no matter your skill level. Worried about snowfall? No worries! Snow machines contributing 74% will compliment (and back up) Mother Nature. 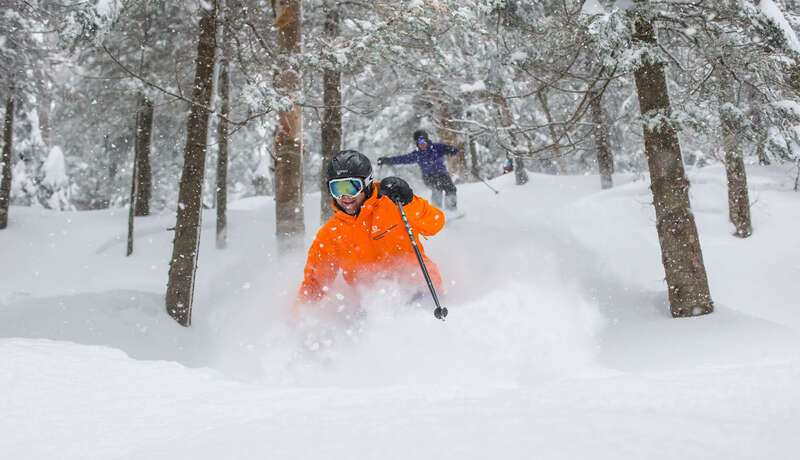 Merit Travel Ski Experts are here to help with your Tremblant experience, speak with us today! If you are after a group ski trip to Tremblant, let one of our specialists help you!